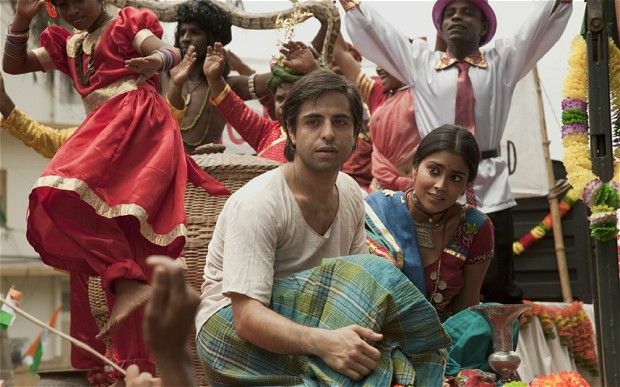 Celebrated author Salman Rushdie’s epic novel, Midnight’s Children, comes alive on film in Deepa Mehta’s vibrant and sprawling adaptation of the magical tale of two boys switched at birth whose lives mirror India’s post-colonial identity crises. Written and narrated by Rushdie and shot on location in Sri Lanka, the film opens this Friday and features a large ensemble cast that includes Satya Bhabha, Shahana Goswami, Seema Biswas, Shabana Azmi, Shriya Saran, Siddharth and Rahul Bose. At the recent press day, Rushdie talked about the experience of seeing his novel brought to life on the big screen, his rewarding collaboration with Mehta, why the filmmakers decided to retain creative control over the project and the financial challenges that posed, how Mehta convinced him to do the voiceover narration, finding the right actors to complete the large ensemble cast, the significance of the Booker Award, other successful adaptations of books to film, and how Midnight’s Children was born out of his love for India. He also discussed plans to adapt his latest work, Joseph Anton: A Memoir, to film and explained why he’s always been a movie fan. Question: How was it watching your novel brought to life? Do you like how the film turned out and was it what you envisioned it would look like? 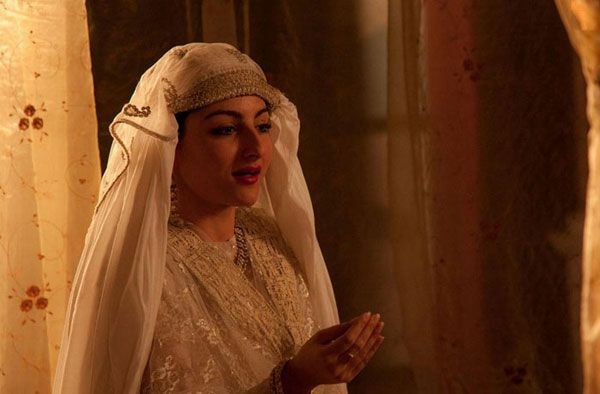 Salman Rushdie: Truthfully, I had no idea what the film would look like. Both Deepa (Mehta) and I were very aware all the way through this long process that the chance of screwing it up was very high. There was a possibility that we would not pull it off. I think that kind of terror drove us forward. I saw hours and hours and hour of the dailies after they all came back to Toronto, and I went to see Deepa there. At that point, I knew that we had the possibility of doing something good, because the thing you can’t ever change is how the film looks and how the actors act. Once that’s done, that’s done. If it’s not there at that point, you’re not going to get it. But it was clear when we went through that long process of looking at the dailies, that the film looked extraordinary. With Giles Nuttgens (the cinematographer), it was quite exceptional. And then, in terms of the performances, every actor had given it 200 percent. They’d given it all they had. I couldn’t see a single weak link in the performances. That’s not completely true, because there were two places where we had to re-voice people, but they were very small parts. There were one or two parts where the voice didn’t feel right. So we had to put a stronger voice on, but those were tiny characters. In terms of the major characters, it was quite clear that everybody had done a fantastic job. At that point, you realize you have the raw material. You have performances which are wonderful and you have a film which looks great. And then, you have to go to the place where the film is really made, in the cutting room. That took more than a year. In fact, it went on so long that even after we started screening the film, we were still re-cutting it. The film that was shown at the Telluride Film Festival was about 7 or 8 minutes longer than the film that was shown at the London Film Festival a couple of months later, because we found things we thought we could take out and tighten. One of the things I’ve learned about Deepa is that she’s a real perfectionist. One of the things that was hardest of all to get right technically was exactly how the magic scenes should look when these children materialized and dematerialized. It clearly had to look unusual enough that you could see that something surreal was taking place. But, at the same time, we wanted it to feel real. We wanted it to feel like a group of real children arguing with each other in a room. For the technical aspect of that, we had to go back to the laboratory many times until we were happy with the way it looked. There were some things that were very hard to get right. The first rough cut that we did, after our looking at the dailies session, was four and a half hours long, and the finished film is less than two and a quarter. We basically had to cut it in half. That was quite a ride. The voiceover narration for this captures the spirit of the original novel perfectly and really adds to the film. Can you talk about what that experience was like for you? Rushdie: Thank you. I’m not a great fan of there being a lot of voiceover in movies, and I prefer it when the film tells its story. But we came to feel that, given that this film is three generations and it’s so many characters and it’s all over the place geographically, it needed some organizing voice to hold it together. One of the things we both agreed on, and it’s the reason why I think it works, is that we would never use the voiceover in an expository way. We’d never use it to say, “Here’s what you’re about to see” or “This is what you just saw means.” We would always use it to add another layer, to be Saleem reflecting on his life or thinking about themes of the story and so on, using it in an almost poetic way as another layer of meaning that you would lay on the story. That’s why I think it does work in the end. It never says, “And now, this happened,” and then you see it happen. It was a very late decision to have the voiceovers after we’d done the first cut. It was a late decision to have a voiceover at all, and then I sat down to write it. It was an even later decision for me to do the voiceover because my view had been, “Get an actor.” Deepa actually did try to do it with a couple of actors. She came back to me and said, “I just don’t like it. I think you should do it.” And I gave in. I had to have my arm twisted, but Deepa is very good at arm twisting. You mentioned that producer David Hamilton, director Deepa Mehta and you had total creative control. How was that possible? What sort of financial challenges did that pose? Rushdie: The three of us did, yes. We avoided the big studios. That was a decision we made right away. We probably could have gotten the money much more easily, and we probably could have gotten much more money, which we actually did need. We could have done with a few million extra dollars because the shoot was brutal. We had 65 locations and 70 shooting days. It was a nightmare. There were very, very long shooting days which required everybody to be very giving, for people not to be towing the union line and saying, “Down tools, now.” People would shoot until the day’s work was done. Everybody approached it in that spirit without which we couldn’t have done it. We could have done with a bit more money. I mean, not for us, although that would have been nice. We decided right at the beginning that we were not going to go that route for exactly the reasons that you say, for reasons of creative control. We wanted to have final cut. We wanted to not have casting decisions forced upon us. 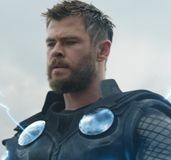 We wanted to be able to have the script be the script we wanted it to be, rather than somebody else dictating that there should be another rewrite, or new writers brought in, and everything else that can happen. 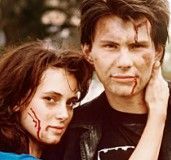 We knew it would be much harder to make the film because this also was at the time of the aftermath of the financial crash when money for independent films was very hard to get. The thing that helped us crucially was the fact that Deepa and David are Canadian based, because Canada still has money that it makes available for independent cinema. It ended up a very sizeable percentage of the budget. David Hamilton could tell you more exactly, but in my memory somewhere around 40 percent of the budget came from Canadian sources, from the Film Board of Canada, Telefilm Canada, all these different bodies that are there. I have to say that all gave us the maximum support that they were able to give us, partly because Deepa is such a beloved figure in Canada, and people want to help her make her work as she wants to make it. In many ways, Deepa and I have been saying every time we’ve had these opportunities to talk to the media that everybody says this is Deepa’s film and my film, but actually in a very, very important sense this is David Hamilton’s film. If he had not spent two and a half years putting this together, there would be no movie. And then, to be able to bring this film home when the budget was so tight, when the requirement on everybody was so intense just to get it done, and to be able to bring it home on time and on budget, that was him. Who knew that that could even be done? As I say, it required a very tolerant crew and a very tolerant cast, which we were very lucky to have. What were some of the considerations that went into casting such a diverse ensemble group of actors who shared your vision? Was it challenging to find the right actors? There are some very good actors at the very top of the Indian film industry, the super, super stars, and we did talk to some of them. Some of them were interested, but they had no familiarity with working in this way. They make films which are entirely made around them. There are the five or six men and the four or five women who are at that level, and they become everything in the film. The whole film revolves around them. For them to be asked to give up all of that, even with the best will in the world, it’s difficult to do because they’ve never worked in that way. They see, quite rightly, that their choices have a very big effect on the annual gross of the Indian film industry. Which films they choose to be in actually determines what films are hits and misses. If you are Aamir Khan or Salman Khan or Shah Rukh Khan, or if you’re Priyanka Chopra or Kareena Kapoor or so on, the movies you decide to be in become the movies of the year. 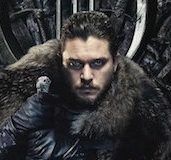 They say, “We can’t make the decision to take a bit part in a movie.” In a way, they were right not to do it, and we were right not to have them, because it would have distorted this ensemble casting, and the feeling of everybody just pitching in, and nobody is bigger than the character so people simply embody the characters. For me, Seema Biswas, who plays Mary in the film, is one of the first people we cast because we literally couldn’t think of anybody else who could do that part. She embodies that character so fully. She’s already won one award. She won Best Supporting Actress in the Canadian Screen Awards. She might win a few more, I hope. There are people who are so completely in the character. I think Rahul (Bose) playing General Zulfikar is another example of that. They’re quite extraordinary performances, even though they’re on screen for not that much time. General Zulfikar is probably 12 or 13 minutes in the film, but you certainly remember him. He’s so vivid. Can you talk about the Booker Award and why it’s important? Also, how did you win three in different years? Rushdie: The Booker Prize has become like the Pulitzer here or the Prix Goncourt in France. It’s the most effective prize. It basically excludes American writers, so it’s British and Commonwealth writers. It’s become very powerful, and the books that win the Booker Prize sell huge amounts of copies. The reason for the three of them is that Midnight’s Children won way back in 1981. On the 25th anniversary of the Booker Prize, they had a special competition to try and determine the best book of those 25 winners. It was a panel of judges who chose Midnight’s Children as that. And then, on the 40th anniversary of the Prize, they had another competition to try and determine the best of those 40 winners, but this time it was done not by a panel of judges, but by a popular vote. It was an internet vote. I won all three. Sometimes acclaimed literary works don’t translate well onto the screen. What are your thoughts on that? Do you think you are the only person who could have adapted this? How did it feel personally to come back and revisit Midnight’s Children 30 years later? Rushdie: Well, it was difficult, because I was literally twice the age that I was when the book first came out. I finished Midnight’s Children when I was about 32. It came out when I was 33. But now I’m almost 66. So it literally is half my life ago and very much at the beginning of my life as a writer. I’m not quite the same writer that I was then. There are things that you do when you’re younger that you do differently when you’re older and vice versa. In many ways, it’s a young man’s book. It reads with the energy and drive of a young man’s book. All of that I rather admired in my younger self. I think the only reason I could do it is because I have so much distance from it. If it was a novel I wrote just now, I wouldn’t have thought I was the right person for it. But it was a way for me to ask myself, “Here you are. You’re at this point in your life as a writer, and you’re looking back at this story you told a very long time ago, and you can make, if you like, another companion piece to it.” I always thought of it not exactly as an adaptation, but as a thing by itself that would sit well alongside the original. I said to Deepa, “We should think of it not exactly as an adaptation of the book, but rather as a relative of the book, as a cousin or a sibling. There’s hopefully a family resemblance, but it has to be its own thing.” For instance, I think the book is less emotional than the film. The book is less nakedly emotional. The film has a feeling that’s right out here, and that’s partly to do with how Deepa approaches film. She very much starts with what is the emotional line through the story and how do you hold onto that. And so, it meant that the emotions are much more raw and upfront in the film. In the book, they’re kind of ironized and they’re seen through comedy and this and that. I don’t think you cry when reading Midnight’s Children, but a lot of people cry when watching the movie, I’m happy to say. 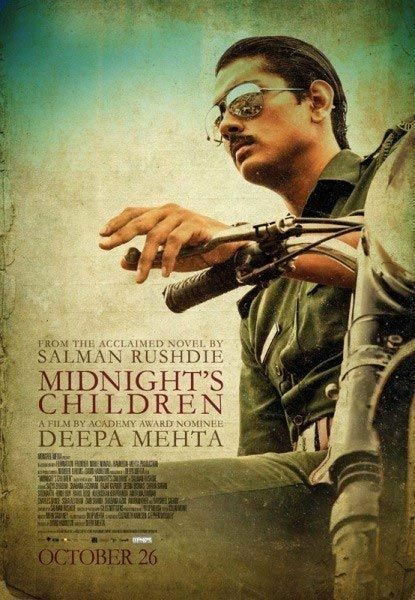 Is it true that you thought of Midnight’s Children as a love letter to India? Would you like to see your latest work, Joseph Anton: A Memoir adapted? Rushdie: That seems to be happening. Knock on wood. We haven’t actually signed, but there is a British production company that wants to do it. I mean, I hope that it’s going to work out. We’re quite close. Who do you think should play you? Rushdie: You tell me. In this case, I think I will not do what I did with Midnight’s Children because it is so close to me. Also, it’s the most recent book, but it’s also my life. It’s probably better that somebody else does it that can bring a different point of view. I don’t know who could play me. I made this mistake in Britain when the story was coming out and some British tabloid journalist asked me, “Who do you think should play you?” I said, in what I thought was an obvious joke, “It should obviously be Johnny Depp because of the close physical resemblance.” The next day, the newspaper said, “Salman Rushdie thinks he looks like Johnny Depp.” So I thought, never make jokes to tabloid journalists. Literally, I don’t know. But maybe in the way that we found Satya (Bhabha) to play Saleem, who was a very fresh face and hadn’t done much in the way of cinema, maybe we can find somebody. There’s always an actor. It may be better to discover somebody than to bring somebody with a lot of baggage. Not my problem, thank goodness. Rushdie: Yes. I think anyone who knows me at all knows that I’ve been a movie addict all my life. So, in that sense, it doesn’t feel like a strange world to me. Also, I grew up in a city which is obsessed by cinema and where there’s a movie theater on every street corner. If you just look at the amount of coverage there is in the Mumbai press of Mumbai movies, I mean it’s just extraordinary. It makes Hollywood look like a town that’s not interested in movies.